"Don't start when you think the time is right." This is the mantra of Alfredo, who is sharing his inspo for our Transformation Tuesday today. He emphasizes the importance of sticking to one's goal to achieve what we truly desire. GO ALFREDO!!! I am 32 years old. I started at 232lbs and about 30% body fat 8 months ago... Now I am about 12.5% body fat and weigh 175lbs. A lot of junk food! Fast foods, lots of pizza and pasta. Since then I've changed to eat veggies, fruits, and lean meats. I love playing billiards and bowling. I love watching the Cleveland Cavs, Browns, and Indians. Fitness is a huge passion in my life. Nothing brings a bigger smile to my face then to inspire and help others. Seeing myself in the mirror. I knew I needed a change so I started my fitness journey and wasn't going to quit as I did multiple times in my life. Now was the time to stay dedicated and focused. I want to drop my body fat % to at least 8 or 9% and over the next 12 months I want to look into a career as being a fitness model. If you have a dream don't let doubt stop you. Strive towards your goals and smash them! Don't start when you think the time is right... Start now! 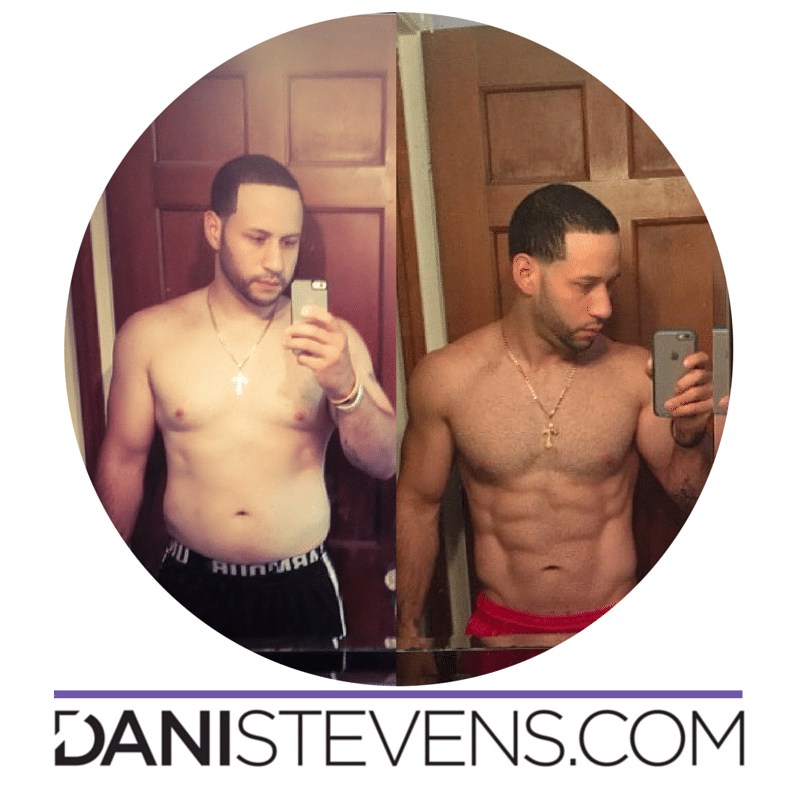 If you have an inspiring lifestyle transformation success story like Alfredo, please share the love here.